Ideally, restore your system to a spare hard drive to test the integrity and reliability of your disks. To do that, either edit your mountlist to make the devices point to your spare hard drive, or swap your hard drive cables between boots. At a bare minimum, compare your CD against your file system before you decide whether to trust them. floppy (or to your hard disk), gzip it and e-mail it to the mailing list. operating system. In either case, you want to run in Nuke Mode. easy: just boot, answer the on-screen prompts, and wait. 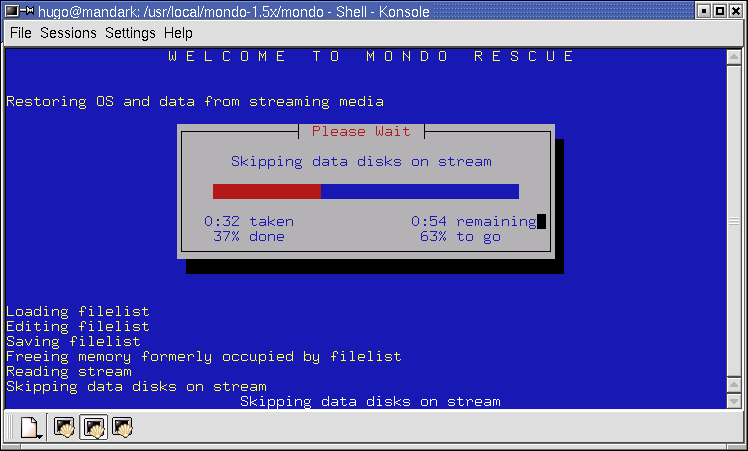 say 'no' when asked if you want Mondo to partition/format your drives. that allows you to setup a different disk geometry. and the buttons at the bottom, use the Left and Right cursor keys. fashion, owing to the complexities of the Newt library. risking the loss of data. 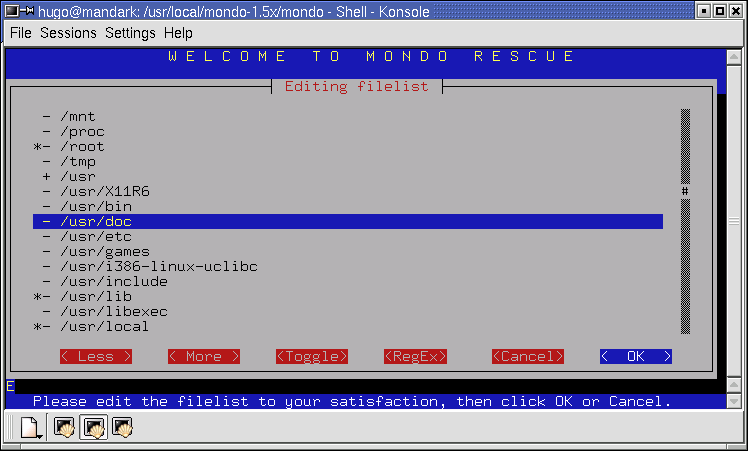 to avoid having to re-jig fstab, the partition table, etc. long as your kernel supports ReiserFS). Ditto for XFS, JFS or ext3. 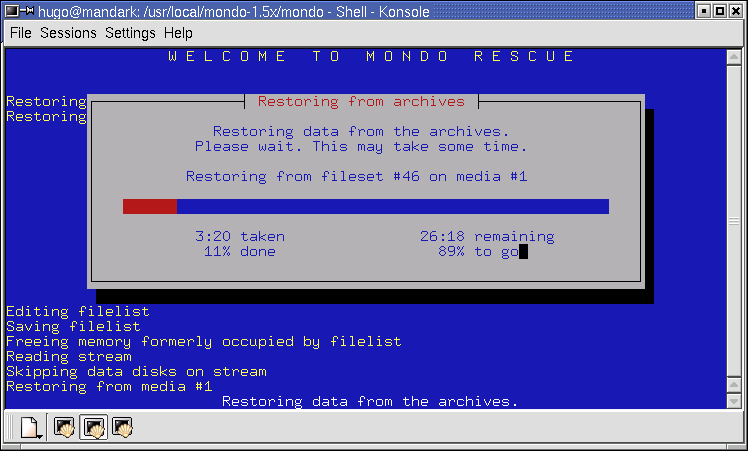 /mnt/RESTORING to configure your boot sectors and Master Boot Record. 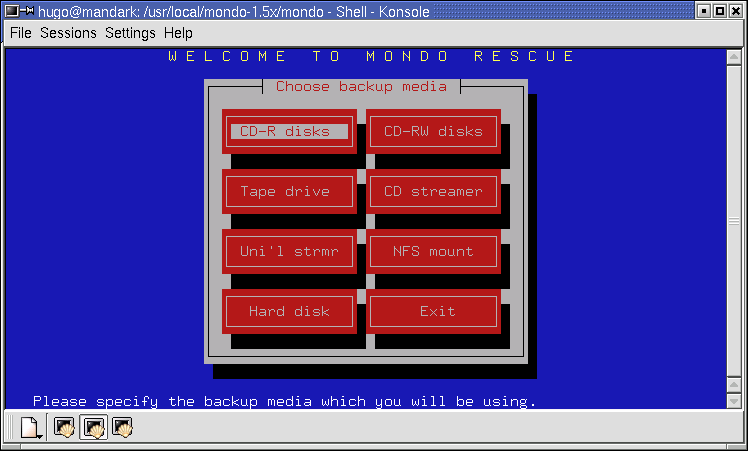 partition and format your disks for you, including the RAID devices. you want to do those things. /tmp/BKP or similar as the restore path. 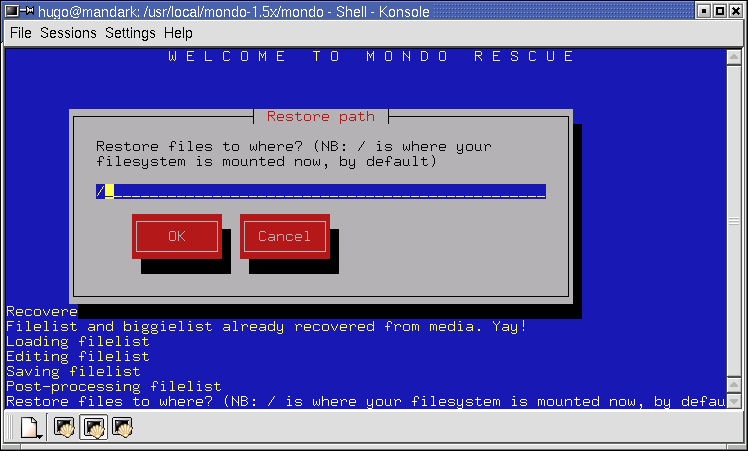 Mondorestore will retrieve configuration information from the media. I hope this manual is proving to be useful to you.